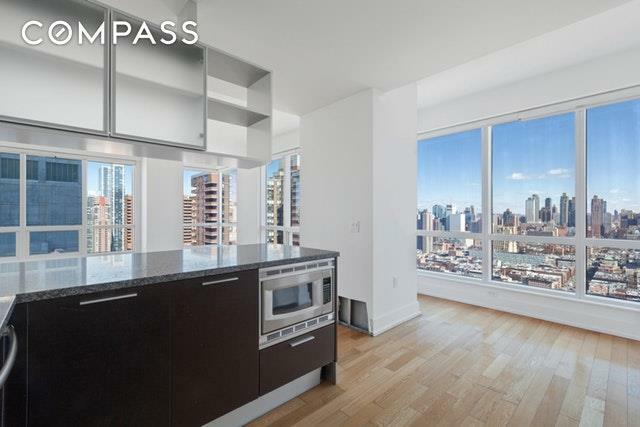 Up in the stratosphere, this contemporary 2 bed apt in the 60-story ORION is the true star of 42nd street. The expansive layout of the chef's kitchen, opening up to the living room, is ideal for entertaining. 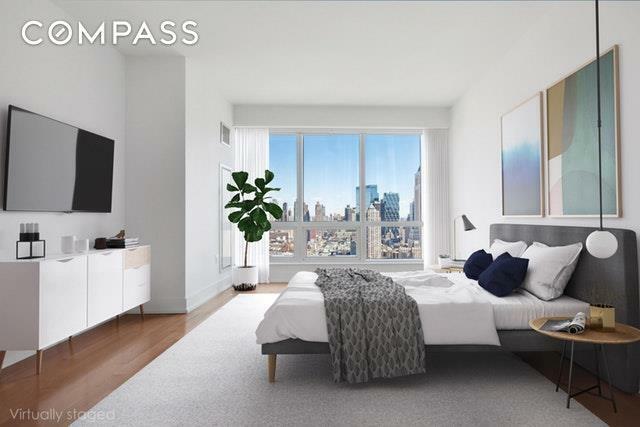 Guests can star-gaze through the floor-to-ceiling windows while being impressed by the northern cityscape of Hell's Kitchen, the western views of the Hudson River, and the constellation of shimmering new buildings otherwise known as Hudson Yards. The master bedroom features a walk-in closet leading to an ensuite limestone bathroom with dual sinks and vanities. The ORION's infinite list of amenities includes a concierge, swimming pool, health club, outdoor deck, media room, playroom, cold storage, bike room, laundry, package room, and parking. Tax reflects abated amount. 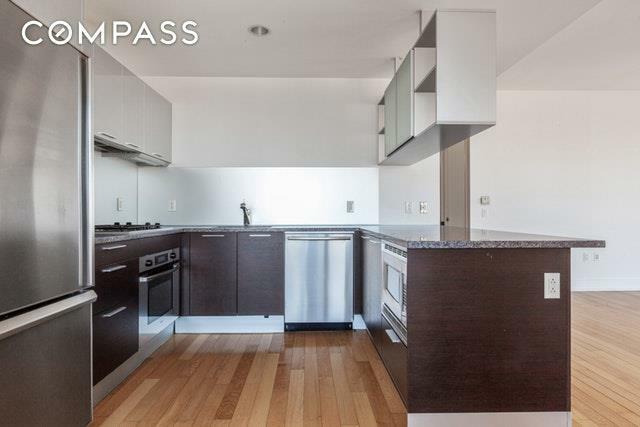 Call, text, or email one of the Strata Team members to view this apartment. 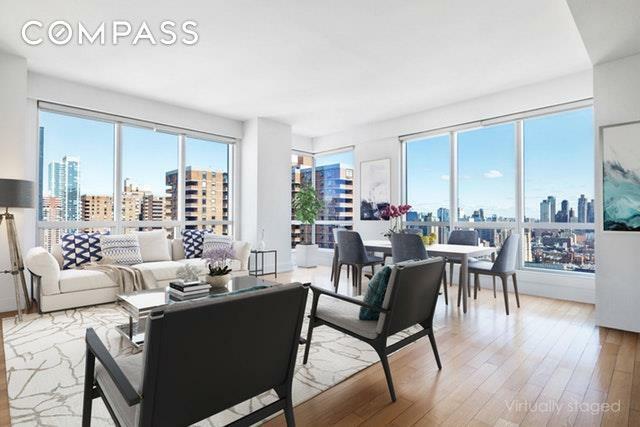 Listing courtesy of Sam Chang of Compass.